The Club offers comfortable, well-equipped guest rooms for those traveling from near or far. If you live nearby, here’s that extra guest room that could really come in handy or if you’re visiting from out of town, we are a wonderful alternative to an impersonal hotel. There is complimentary Wi-Fi in every room and use of the gym, steam/sauna room and swimming room facilities is included with your stay. The location, of course, is ideal, if that’s your cup of tea. Complex has a vast parking area. 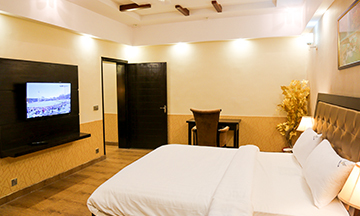 Guest room complex consists of 10 Deluxe rooms and 2 executive rooms.